Panama - The Order of the Daughters of the King, Inc. The St. Clare Chapter was instituted by National Chaplain, Bishop Sylvestre Romero, on January 20, 2013 at the Cathedral of St. Luke in Panama City, Panama. It was a day of great celebration as the past and present Bishops of Panama and the Dean of the Cathedral (and Chapter Chaplain) also participated in the service. 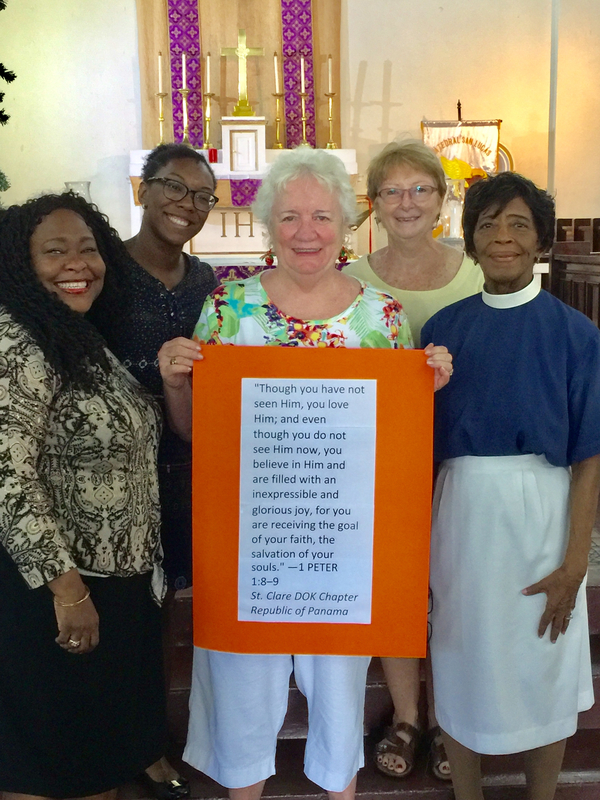 Three US Daughters, Francis Wilson, Vicki Sizemore and Belinda Clemens, had shared The Order in Panama, and through God’s grace, they were joined by five local Daughters. St. Clare Chapter is the first DOK chapter in Panama since the late 70’s, when a chapter disbanded. St. Clare Chapter at the Cathedral of St. Luke, Panama City, Panama celebrated their fourth anniversary on January 22, 2017. The Daughters led the service at the Cathedral and provided a reception for the congregation following the service. Members of the St. Clare Chapter with the Rev. Maiziee Lennon and the Rev. Adrian Cardenas. 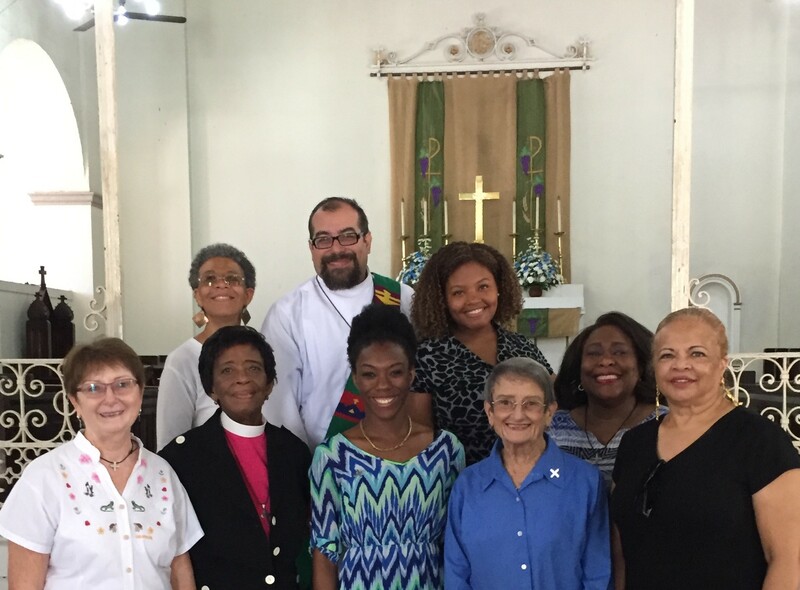 The St. Clare Chapter celebrated their first year of service as part of the Cathedral of St. Luke community in Panama City, Panama on Sunday, January 26, 2014. They printed and made available prayer request forms in Spanish and English. In addition, they donated the money to refurbish one of the Cathedral's original pews. The money was donated from their weekly offerings at their meetings. The Chapter is presenting two gifts to Reverenda Lennan, Dean of the Cathedral.